EMILY BEE’S impressive year just keeps getting better and better. The City of Plymouth athlete again re-wrote record books, this time at the South West Schools’ Combined Events Championships. A week after smashing the South West under-17 girls’ 80m hurdles record and moving to the top of the UK rankings in that event, Bee did the same in the heptathlon. She smashed her own previous championship mark with a new PB of 5,064 points at Yeovil. That not only moves her back to the top of the UK rankings but also puts her eighth on the all-time list, which includes current Great Britain internationals Katarina Johnson-Thompson and Morgan Lake. During the weekend of competition, Bee also set three new individual PBs in the high jump, shot and javelin. She opened with a quick 11.29 seconds for the 80m hurdles. She then backed that up with an impressive leap of 1.68m in the high jump. That was a new best and puts her in the UK top 10 for that event. Bee then threw another PB in the shot of 10.98m. The Plymouth High School for Girls pupil opened the second day with a 25.20 second 200m, before recording 5.42m for the long jump. A new javelin PB of 30.25m followed next before she finished with a 2:28.50 800m. 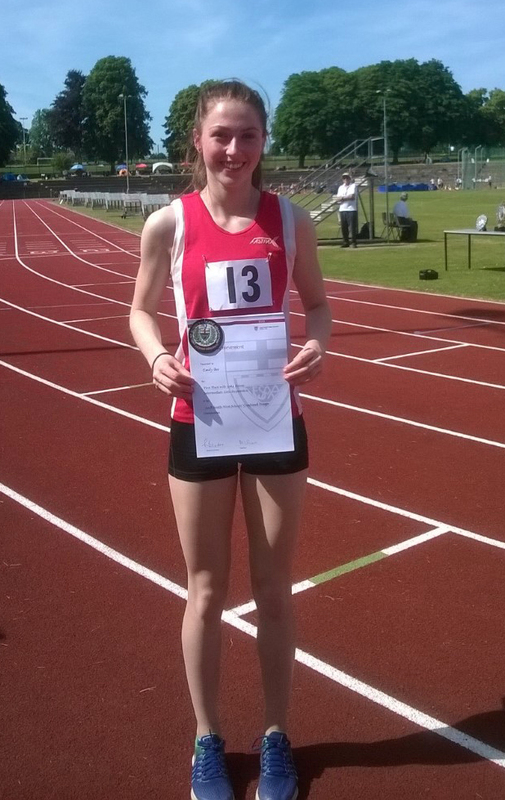 She has now qualified for the English Schools’ Combined Events Championships which will be held at Bedford in September. This year has already seen Bee win the England Indoor Pentathlon Championships, plus county and regional titles as well as setting PBs in six different disciplines and toping the UK rankings at two different events. Also at the South West Schools’ Combined Events Championships, Erme Valley Harriers’ Ella Isaias finished 11th in a strong junior girls’ competition, while in the junior boys’ section, Tavistock’s Ben Pitts came seventh, with club team-mate Harry Tomlin ninth and City of Plymouth’s Matthew Newton 18th.